This Monday we’re thrilled to have K.M. 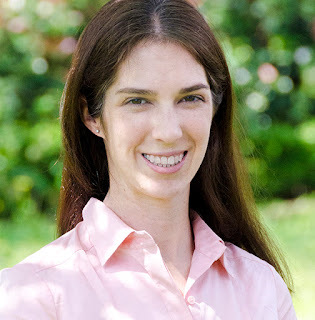 Pohlkamp joining us on the Pict blog to talk about her novel Apricots and Wolfsbane. So Kara, what inspired you to write Apricots and Wolfsbane? Last fall, I read an article about forgotten females from history that profiled Locusta, a Roman poison assassin, who is considered to be the first serial killer. The fact the first serial killer was a woman struck me and the more I read about her, a story began to weave in my mind. About a week later, my priest gave a sermon warning about the ease of falling into a cycle of sin and penance. Often we realise our actions are incorrect, feel guilt, and then performance penance. But after guilt wears away, it becomes easy to commit the sin again. Of course, he was talking about minor offences, but as a matter of reductio ad absurdum, I applied this concept to a murderer. The essence of my novel was born in the church pew. So to completely different experiences came together in your brain - sounds very typical for a writer! Where is Apricots and Wolfsbane set? Inspired by the notion confession could provide a source of false permission for murder, I lifted Locusta’s inspiration out of Rome and placed my novel at the height of the Catholic church in Tudor England – also my favorite historical period. The exact year is open within the book, but I imagine it to be around 1517 when Martin Luther proclaimed his “95 Theses”. During this time, the priest was a powerful official at the local level and the historic practice of “indulgences” helps bolster why my assassin, Lavinia Maud, may (falsely) think she can simply go to confession and receive forgiveness for mortal sin. 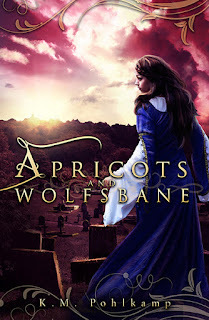 Apricots and Wolfsbane follows the career of poison assassin, Lavinia Maud, an anti-hero on a hero's journey. I set out to write an assassin the reader cheered for which is challenging considering her profession. Giving Lavinia weaknesses and a love interest help make her accessible to the reader and her complex relationship with faith make her unique as a fictional murderer. She sounds fascinating. How long did the process take from start to finish – from idea right through to publication? The manuscript was an unofficial 2016 NaNowWriMo (National Novel Writing Month) project, and while I did not complete the piece in the month (I’m astounded by authors who do every year), I had a first draft by January. Editing is always the long slog, but it’s rewarding to see a novel clean up, like a jewel being polished. 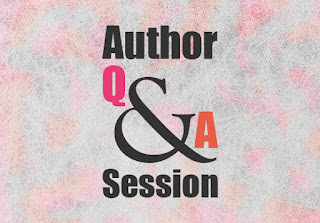 I was very fortunate to have multiple publishing offers in my first five queries so everything happened fast. The book was published on 13 October 2017 – less than one year after I started writing. I realise how blessed I am! That is fast! Have you learned anything about yourself or your writing during this process? It's commonly said that the first novel you write is a throw away. I didn't want to believe it, but I understand that advice now. Apricots and Wolfsbane was successful because of the help and suggestions I received from other authors and editors with past writing projects that will never leave my hard drive. I poured every bit of those lessons into this novel. The best piece of advice I ever received was to switch genres. I tend to be a bit prosy, which I was fighting in other genres, but is a strength in historical fiction. So the switch in genres has played to your strengths – what an excellent piece of advice. What else has influenced the way you tell a story? After surviving years of AP English and college courses, my joy for reading was decimated. I could not withstand another “classic” that I was supposed to love. After college graduation, a friend put Anne Bishop’s Daughter of the Blood in my hands and begged me to read. I was hooked. I related to the strong, feminine characters. The dark aspects of the story drew me in as much as the jewelled castes and worlds Bishop created. The series rekindled my love for reading – but also showed me dark subjects can be approached with sophistication. A lesson I also took away from my favourite book, Kushiel’s Dart, by Jacqueline Carey. Finding time to write is my biggest challenge. It also seems inspiration comes at the most inconvenient times; often while I’m running or sleeping. My husband is a marathon runner who runs every night. I write while he's out of the house and my children are in bed. Usually I grab a blanket, my laptop and a glass of wine! That sounds perfect! So you're an engineer? My first “day job” is at Johnson Space Center where I work as a flight controller in Mission Control. Specialising in Guidance, Navigation and Control, I had the honour of operating the Space Shuttle and now am developing operations for upcoming human space vehicles. Wow! So is writing your second day job? When I’m not at work, I’m the blessed mother to a three and a six-year-old. The parents out there will understand why I’m calling this a job, but it is more rewarding than any book I could publish (and perhaps more challenging). When I’ve finally got them tucked into bed, I relax by escaping into the worlds I create with my keyboard. It sounds like you have created the perfect balance between work, home and writing. Thank you so much for talking to Pict today.